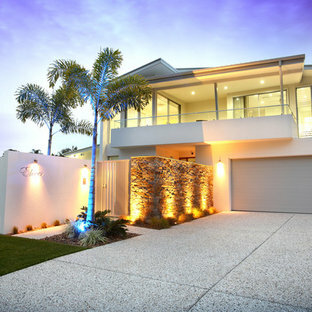 Photo of a contemporary two-storey exterior in Brisbane. This is an example of a country exterior in New York with wood siding. 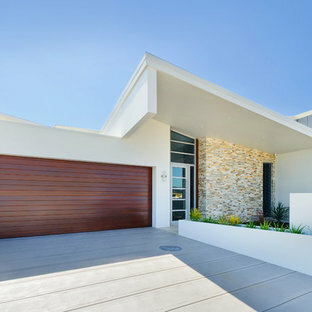 Design ideas for a contemporary two-storey exterior in Sydney. A recently completed John Kraemer & Sons home in Credit River Township, MN. Photography: Landmark Photography and VHT Studios. Traditional two-storey exterior in Minneapolis. 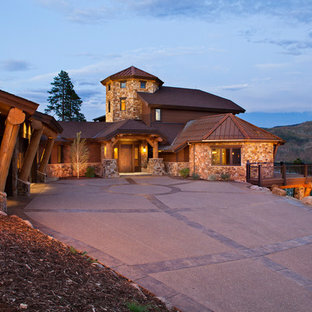 Photo of an expansive country split-level brown exterior in Denver with stone veneer and a hip roof. The project consisted of demolishing the existing home built in 1978 and creating a new home with an open floor plan with a large kitchen and family room space that focused on the impressive views of this two acre property. 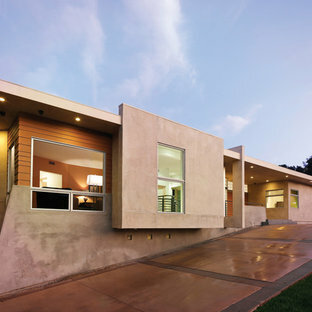 Inspiration for a large arts and crafts exterior in San Diego. 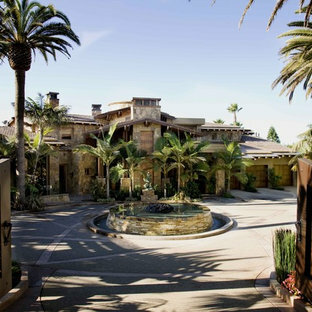 Inspiration for a large mediterranean two-storey stucco beige exterior in Tampa with a hip roof. Design ideas for a large country concrete grey exterior in Ottawa with three or more storeys and a hip roof. 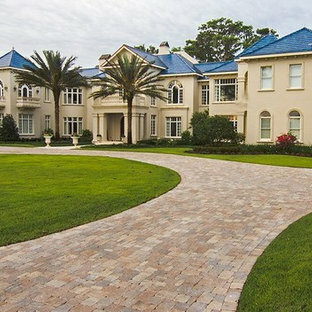 This is an example of an expansive mediterranean two-storey stucco beige exterior in Tampa with a hip roof. Traditional style driveway using Techo-Bloc's Blu 80 mm pavers. This is an example of a large traditional two-storey beige exterior in Boston with stone veneer and a hip roof. 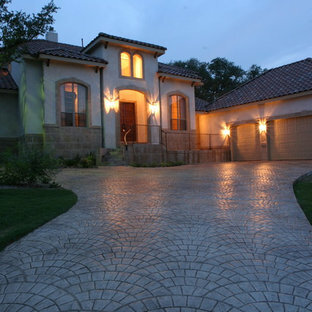 Large mediterranean two-storey stucco beige exterior in Dallas. Photo of a country exterior in Austin with wood siding and a gable roof. Inspiration for a large traditional beige exterior in Dallas with three or more storeys, stone veneer and a gable roof. This Downers Grove home has a contemporary craftsman feel with many added "green" features. Photo of a large arts and crafts two-storey exterior in Chicago with concrete fiberboard siding. 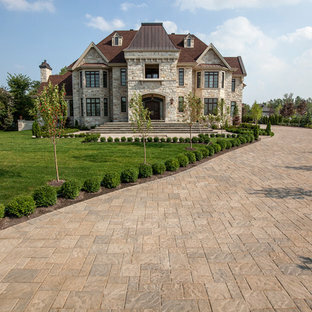 Design ideas for a large traditional two-storey exterior in Minneapolis with stone veneer.